People who know Grace know what makes her special. And Grace is special because of what is in her heart, her mind, her soul. Her heart is full of love. Ever since she was a little girl, she wanted a hand to hold and someone to listen. She wanted to encourage, give attention, give hugs. Her mind is bright. It wants to lead. It thinks of things that no one else does, because God gave her a gift, just as He gives each one of us a gift to use for this world we live in. There is no one like Grace, there is no mind like her mind. She has desire to busily learn and grow. So many interests, hobbies, jobs. Once she sets her mind on something, look out. Her soul belongs to God. She loves the holy Scriptures, the hymns, the worship. Her spirit always rejoices, and produces the good fruit of love, joy, goodness and peace. As her mom, that is what I see. At first I thought, I’m not going to wax eloquent with this post, I’m just going to let the pictures speak their thousand words. But who am I kidding? I have words! Must.get.them.out. It just so happened that when she was born, and after the nurses made sure her airway was clear, they gave Grace to her Dad first……and I love that. (She certainly is a Daddy’s girl.) My husband placed our first little daughter into my arms. And she was an absolute DOLL. A teeny tiny doll baby………..
That was 17 years ago, today. I rarely see this girl of mine these days because she’s a busy busy senior in High School, and very very involved in Drama and Music. 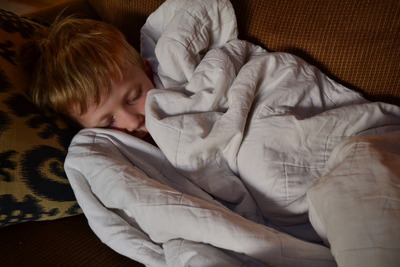 When I got home yesterday afternoon, the bus from school had already gone by, and so I chatted with Dave in the kitchen and then made my way through the living room to get to my bedroom…..and there was Grace on the couch, reading a book. Oh I was so excited, I admit I shrieked with glee, I grabbed her and we went outside to do her birthday photo shoot (I like to take good photos of my children on or around their birthdays). Photos that I didn’t think I would have time to take because I rarely see her in the daylight hours. Squeeeeeeeeeee! Grace and I have a great relationship….although at times it is better for her to go to her Dad with things, as well. (He and I make an excellent parenting team and often give each other high fives). She adores her two big brothers, and her younger siblings, as well. In my mind, I can see the relationships she has with each one. Grace is applying to colleges and in a few weeks I’m taking her to visit one. There is part of me that is already preparing for when she leaves and I’m not going to lie…..it’s going to be hard for our family to see her go. But go she must, because she’s meant to soar. Yesterday while the kids were at school, my mom and I were texting and trying to decide what kind of cake Grace would want me to make for her…..Mom said “vanilla with strawberries” and I guessed “chocolate with vanilla frosting.” Hours later I was able to ask Grace. She said she wanted a cheesecake, and even specified the temperature of it: partially frozen. partially frozen cheesecake!!!! Never would have guessed that one. I haven’t MADE a cheesecake in probably 20 years so this is going to be a fun day. (one of my favorite photos, which came about because I said, “KITTYYYYYY!” a bit too frantically, trying to get the cat to look at the camera). ha ha ha ha! They have the same expression on their faces!